The Energetic Goat was published a couple years back. I have been pulling some of the most useful sections out and summarizing them to help my readers make the leap of faith into chemical-free management. I find that one of the biggest hurdles my coaching clients face is the initial transition away from chemicals, GMO feeds and intensive vaccination schedules. 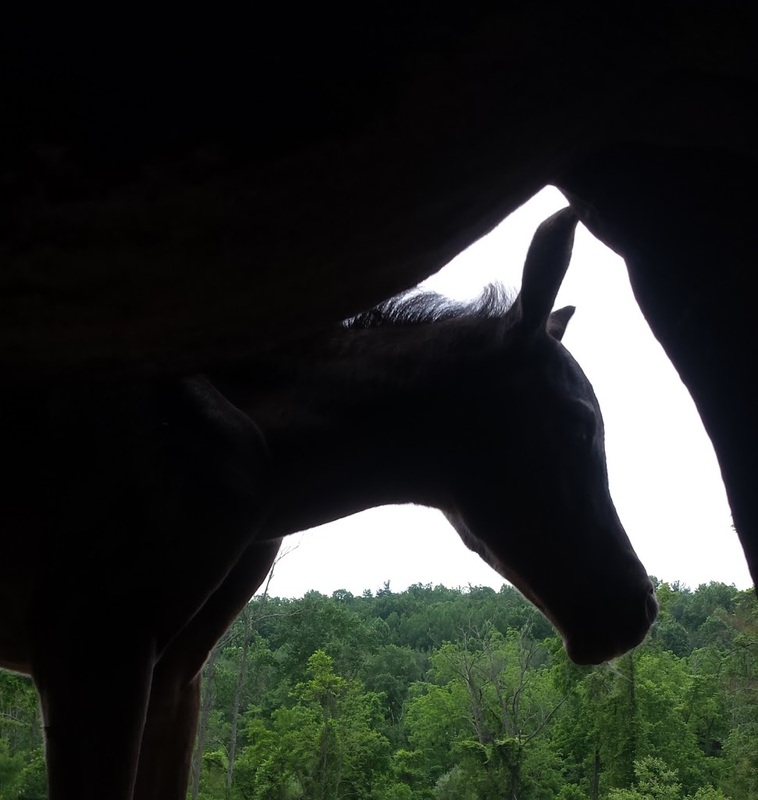 There is often a big fear of the unknown, a fear of the normal body processes that occur during these changes, and finally the fears generated by well-meaning observers and veterinarians who may be unfamiliar with building wellness. I myself had to walk through those fears when I transitioned my horses, and then later, face those same fears when I transitioned my goats. I had to find my trust that the body is perfectly designed to fight for life and to fight to thrive, a big leap of faith, because wellness as prevention is opposite to the western medicine model of treating dis-ease (deliberately hyphenated as dis-ease is the absence of ease or wellness) and the process of becoming well can often be messy. I was blessed to have mentors to study with that held my hand through the process and reassured me that they too had faced these challenges and that their animals had come out the other side with vitality. Below is my video summary and also a written summation of the much more detailed chapter about transitioning your goat herd in The Energetic Goat. If you need someone to walk you through the process with your goat or herd, please contact me. 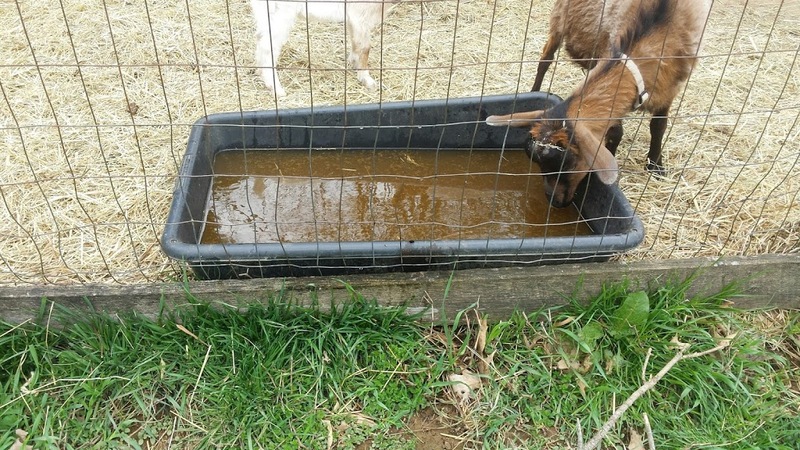 Month 1: Assuming the goats have been getting non-organic commercial feeds, over a 2 week period blend the commercial grain mix with additive and gmo-free substitutes. Keep the total weight of concentrates the same until the transition to natural substitutes is complete and the goats have been eating their new food for two weeks. Support with a prebiotic/probiotic during this process. Generally speaking, focus on grains for energy, fats for weight gain, and alfalfa and soy for muscle/topline and protein. The less grain you can feed while still maintaining weight, growth rates, and milk yield, the better. 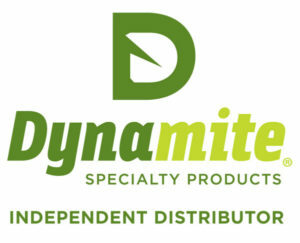 The best feed for goats is still what nature intended, a varied browse diet on healthy soils. Months 2-5: Next, decide between starting to rebuild mineral reserves and doing a full-body cleanse or detoxification (detox). This is a judgment call and unique to each goat. If the herd has a significant history of exposure to chemical dewormers, lice medicine, herbicides, pesticides, or toxic water, start with detoxification. If the toxin exposure is lower, start the rebuilding process with a high-quality vitamin/mineral supplement program and wait to start a detox. Remember: the body does not clean house and rebuild at the same time. Pick one or the other only, for month two. If you start with the detox and suspect high levels of toxin exposure, detox is most safely done by starting with a mild, conservative detoxification agent and increasing intensity later. The most conservative gentle detox is montmorillonite clay for twenty-eight days. The majority of goats have some level of heavy metal exposure from the soils, rainfall, and the additives in vaccines or feeds. 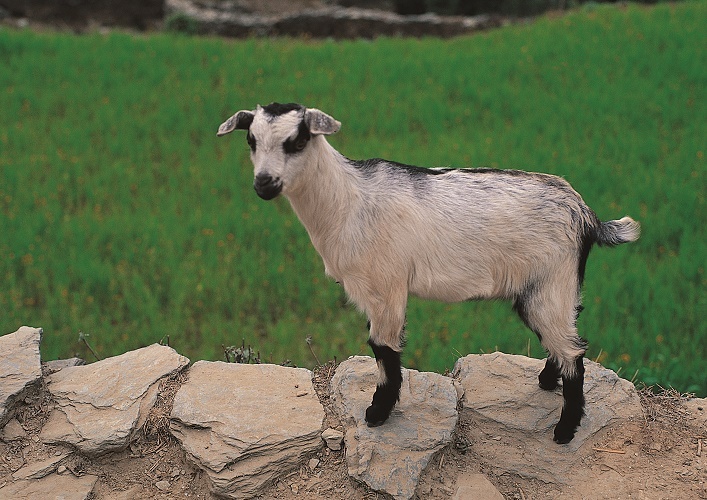 If the goat tests as needing heavy metal detox, I add micronized cleaned zeolite mineral or chlorella. Less toxic or stronger goats may tolerate a more intense herbal detox. A good herbal detox formula will encourage the liver, kidneys, and bowels to flush toxins while supporting healthy digestion. When in doubt, start with the mildest detox and work up to stronger blends over time. When the goats are done with the detox, then I start the rebuilding program. Some goats start with rebuilding the body first. This is better for less-toxic goats and fragile/older/very young goats. I start the goats on a basic supplement program of free-choice vitamins and minerals. Remember, months 2 to 5 are a 2-part process: a detox and the beginning of rebuilding the body. Either can happen first, it depends on the priority for that goat. The combination of detox and rebuilding will take about five months total, which puts Step 3 at about six months. Important: If at any time during Step 2 the goat is surrendering to parasites, test to see if chemicals are needed to save the goat. Parasite symptoms can be confused with detox symptoms, which can include diarrhea, runny nose and/or eyes, skin eruptions, weight loss, and hair loss. A fever, anemia, yellow or green snot, or bloody diarrhea are likely not effects of the detox. When in doubt, always contact the veterinarian. 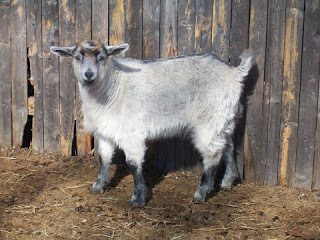 Months 6-12: The goats have transitioned the feed and hay, gone through detox, and spent several months rebuilding nutritional reserves with the highest quality supplement program you can find. Four months is the amount of time it takes for the blood to be completely replaced and is often the milestone when major shifts in health occur. Another key milestone is two years, when the body replaces all the bone. This is typically when you’ll see your herd reach full health, although it can take longer if the transition was rocky. During these months start to transition your dewormers over to chemical-free options. If you suspect parasites start with the mildest non-chemical dewormer, such as diatomaceous earth (DE), clay, pumpkin seeds, pine needles, lespedeza, trefoil, chicory, or one of the commercially available herbal blends. If none of the non-chemical dewormers test clear the parasite issue use a chemical. After the chemical dewormer, wait forty-eight hours and then do a detox with clay to remove the chemical residue. Clay has a negative charge and will bind with the positively charged deworming chemicals still in the gut and carry them out of the body. As the months progress, you should find that you are having to resort to the chemicals less and less often. If you get to the end of the first year, and still need chemicals on a regular basis, you need to revisit your basic nutrition program and your pasture management, and pay special attention to copper and zinc. Months 13-48: During months thirteen through forty-eight, continue following all the previous steps. Continue the healthy diet. Continue monitoring mucous membranes and body condition. Continue testing for non-chemical as well as chemical options. You should observe an overall trend of testing for chemicals and medications less and less. 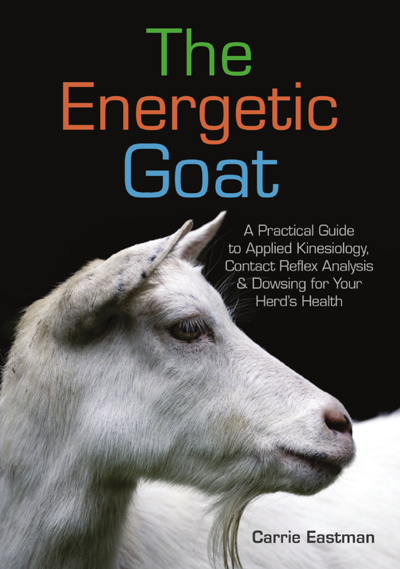 When you are ready to begin this process with your goat or goats, please consult The Energetic Goat for greater detail. I highly recommend that you find an experienced mentor to walk you through the process. Having someone you can call or text at any time to say “Is this normal?” is invaluable for finding your faith in the process, especially when the going gets rough or messy, or when you get that annual reminder for vaccines or chemical dewormers. I do offer private mentoring with 24/7 access via phone/email/text. Please see my Services page for details.